Orange County, California Car Accidents Lawyers with Over 40 Years of Experience and Success Rate of More Than 95%! Our Orange County California injury accident lawyers are here to help you when you maybe overwhelmed with many problems. We know that Orange County car accidents cause serious injuries, substantial property damage, and sometimes even wrongful death. Our Orange County wrongful death, car accident personal injury claims lawyers have a 95% success rate in handling personal injury cases in Orange County, neighboring Los Angeles, Riverside, San Bernardino, Sand Diego and all throughout California. With more than 40 years of experience in handling thousands and thousands of car accident and other accident injury claims, we are a group of accident claim lawyers offering our legal services for Orange County, Brea, Dana Point, Garden Grove, Irvine and other places in California. Our expert car accident injury lawyers know how to handle car accident cases, from getting damaged cars towed and repaired, free rental cars, immediate medical care without payment due until your case is resolved, to maximum settlements while providing legal advice and clear explanations of the claims process all along the way. To see what our clients have said about us, we invite you to our testimonial section. There are many time rules (including the California statute of limitations) and procedural rules (e.g., in car insurance policies, the California DMV, etc.) so please do not wait. Please do NOT risk making a mistake or blowing a time deadline. Please contact us now at 1.866 INJURY 2 or at 1.818-222-3400 (after hours just dial “1”) for your FREE & CONFIDENTIAL consultation and case evaluation. Our initial case consultation is absolutely FREE and we work on a contingency fee basis on accident claims which simply means there is NO fee until you WIN! There is nothing to worry about in contacting us so please do NOT wait and please call us now. You will be glad that you did! Medical Care: Personal injury car accidents in Orange County, CA often leave victims dealing with serious injuries that require regular medical care and physical attention. Our Orange County, CA lawyers help clients obtain medical care, including doctors, physical therapists, specialists such as orthopedic and plastic surgeons, neurologists, dentists and psychologists, usually without any payment until the claim is resolved. Moreover, clients can seek assistance for medication, X-Rays, including MRI and CT scans, usually with no payment due until your claim is resolved. 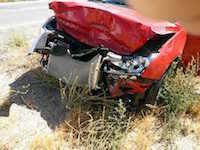 Vehicle Repairs: Orange County, CA car accidents can cause heavy damages to cars, trucks, and motorcycles. Our Orange County car accident lawyers and law offices help you with your vehicle repairs or total loss settlement, storage, towing, and, appropriate, free car rental. Transportation to Doctor: Our Orange County car accident lawyers and law office staff assist clients in finding doctors, arranging appointments and, whenever appropriate and available, arrange transportation for injured clients to and from the hospital, medical clinic and other doctor and physical therapy appointments. If you need help with transportation, just let us know. Cash Advances/Emergency Loans: Orange County, California car accidents can exhaust your finances especially with unexpected medical bills and added expenses to take care of at a time when you may miss out on work and suffer a loss of earnings. Our experienced Orange County car accident lawyers and law offices will assist you in receiving loans and advances to cover those additional expenses whenever appropriate. If you or anyone you care about has been involved in a Orange County, CA car accident or any motor vehicle collision, call us right now for FREE & CONFIDENTIAL car accident personal injury advice. You also may simply go to our contact us form and tell us about your car accident case. You can look through our lawyer profiles and get to know our experienced and well-qualified lawyers. Furthermore, learn about the formalities, procedures, and rules associated with Orange County, California personal injury and wrongful death claims by visiting our Car Injury Accident Web Site; and for more specific help about your particular car accident injury case please call us now at 1.866 INJURY 2 or at 818-222-3400 (after hours just dial “1”) for FREE & CONFIDENTIAL consultation on your car accident injury case. Remember, our car accident injury lawyers offer FREE legal consultations and evaluations on Orange County, CA car accident claims and take our clients’ injury accident and wrongful death accident cases on a contingency basis, which means there is NO fee until you WIN! Orange County is a county in the State of California. As per the 2010 census, the population of Orange was about 3 ,010,322, making it the third most populous county in California. The county’s four (4) largest cities Santa Ana, Irvine, Anaheim and Huntington Beach each have populations exceeding 200,000. Several of the Orange County’s most beautiful cities are on the Pacific Coast, including Newport Beach, Laguna Beach, Huntington Beach and San Clemete. The county is famous for its tourism as a home of attractions like Disneyland, California Adventure, Knott’s Berry Farm and several fun beaches. It is also known for its political conservatism. 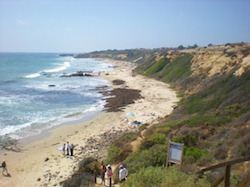 Orange County is bordered on the Southwest by the Pacific Ocean, on the north by Los Angeles County, on the Northeast by San Bernardino County and Riverside County and on the Southeast by San Diego County. Sometimes, residents divide the county into north Orange County and South Orange County. Orange County is the base for several religious organizations. Orange County has long been known as a Republican stronghold and has consistently sent Republican representatives to the state and federal legislatures. Orange County contains several notable shopping malls. Among these are South Coast Plaza, which is the largest mall in California and the third largest mall in the United States, located in Costa Mesa; and Fashion Island in Newport Beach. Other significant malls include the Brea Mall, Main Place Santa Ana, the Irvine Spectrum Center, and Downtown Disney. Tourists remain a vital aspect of Orange County’s economy. 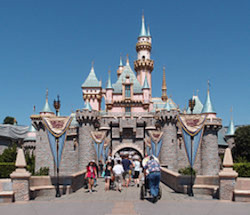 Anaheim is the main tourist hub, with the Disneyland Resort’s Disneyland being the second most visited theme park in the world. The Anaheim Convention Center hosts many major conventions throughout the year. Resorts within the Beach cities receive visitors throughout the year due to their close proximity to the beach, hiking trails, shopping and dining. Orange County is the home of many colleges and universities, including the University of California at Irvine (UCI), Coastline Community College, Fullerton College, Vanguard University, Laguna College of Art and Design, Anaheim University and a few more. 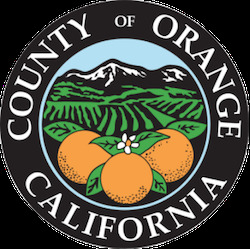 Orange County is and has been home to many famous people over the years including Golfer Tiger woods, Walter Johnson, Michelle Pfeiffer, Jeff Buckley, Drake Bell, Walt Disney many others, too many to name here. Won and settled monetary settlements of over $100,000,000.00. Served at Los Angeles Superior Court, including in the capacity of Arbitrator. For an easy, free and confidential consultation, fill-in the details in our contact us form and fill us in on your Orange County, CA car accident or any other injury claim in Los Angeles, Riverside, San Bernardino, San Diego or anywhere in California. 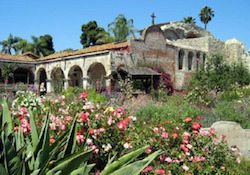 Mission San Juan Capistrano in Orange County, California – Where the Swallows return every year!